Cottage Farm Inc. 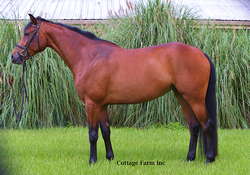 Sales - Cottage Farm Inc.
Super young mare that is going to make someone a special partner. Aly was born broke! She is an old soul who takes everything in stride. Oct 2012-She inspected earning an overall 7.9 with 8.2 for movement and 8.3 for overall impression. If there was a score for good behavior she would have scored a 10! 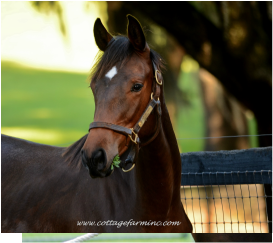 Top quality conformation, gaits and talent in a small package!